For more about Vandevert Ranch and its history see the ranch Website. In Vandevert, Haynes and McNellis have written as definitive an account as we will likely ever have of this now 118-year-old pioneer ranch. To read their book is to grasp the role Grace's forebears played in Central Oregon's fascinating history. They have done the region's heritage a great service. In the 1940’s we frequently trailed cattle past Vandevert Ranch and it was fun to imagine what stories the old log homestead could tell. At last I’ve learned those stories from reading Vandevert and I enjoyed every page. It is wonderful to have history preserved in this entertaining and thoughtful book. 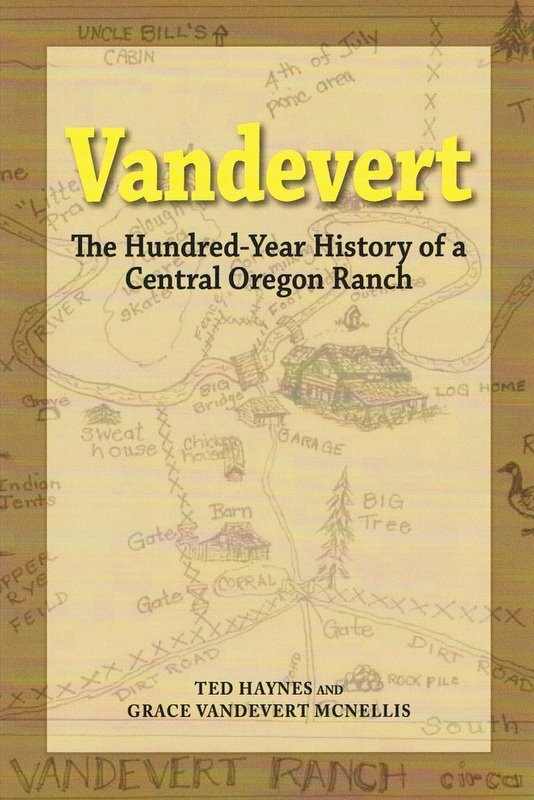 From the colorful characters like William Plutarch Vandevert and his early days with the Hashknife Cattle Company, to the brilliantly detailed descriptions of life on the Vandevert Ranch, Vandevert is a book and a legacy everyone will savor. - Carol Gardner, founder of the modern Vandevert Ranch, and creator of Zelda Wisdom, Inc.
Haynes and McNellis open a time capsule from a warmer and more genuine life with this captivating family history. When Indians camped in the meadow, and before electricity, central heating, or indoor plumbing. When the whole family gathered for Christmas. When entertainment came from the family piano, from reading, riding horses, and a hot Saturday night bath in a tin tub. All are described with a realism that glows like a western sun that has just set. Here, in plain, unembellished detail, is what life was really like on western cattle ranches prior to the Second World War when large areas of the West did not yet have electricity or indoor plumbing, nor even refrigeration for perishables, and life everyday proved that there is no pleasure without pain.